Everything you need for bouquets is included on this die board! The GO! 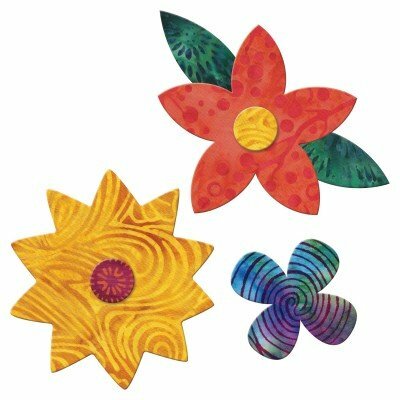 Flower Bunch includes three flower shapes, a circle flower center, and a leaf. Use with other GO! flowers and leaves for even more variety in your garden. You can even plant them in a pot with the GO! Tumbler die!